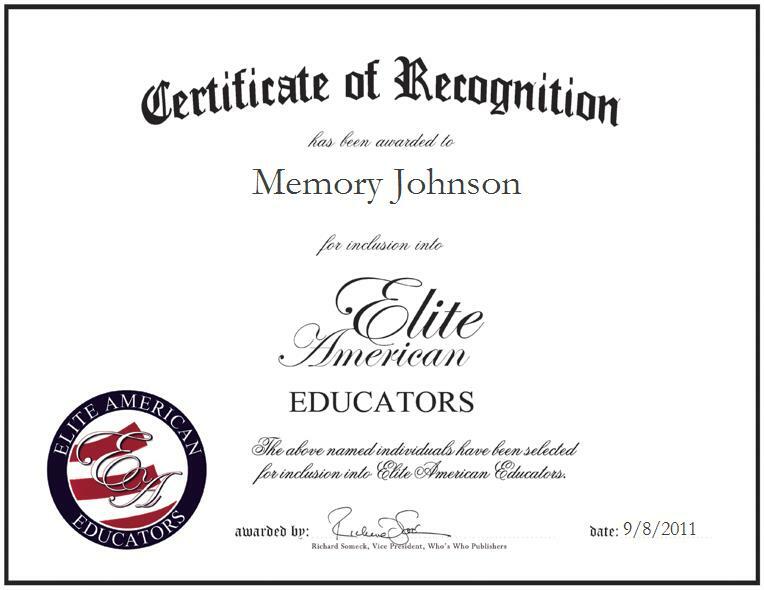 Memory Johnson is a retired educator formerly of Troup High School in LaGrange, Ga. For more than 30 years she demonstrated an expertise in history education, especially American history and government, which she taught to 11th-grade students. She graduated with a Master of Education from the University of West Georgia, and earlier earned a Bachelor of Arts from LaGrange College. Ms. Johnson also served for two years in WAVES, a division of the U.S. Navy, during World War II.